28日4:30-6:30, Introduction about the teaching of this retreat, and the tridlung of Short Thun. 28日22:30. Explanation: how is the Base of the paths in general for all kinds of teachings and particularly in Dzogchen Ati. 29日22:30. 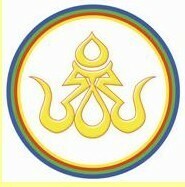 Explanation: how is the Guru Yoga being essence of the Dzogchen teaching and giving its Transmission. 30日22:30 Ati Guru Yoga practice altogether, then explanation about the paths in general and particularly in Dzogchen Ati. 31日22：30. Ati Guru Yoga altogether, then instruction about how we apply concretely the path of Dzogchen Ati in our ordinary life and what is the benefit f it. Tridlung of Medium Gana Puja. 1日22:30. 10-12am. Ati Guru Yoga, then Teaching how is the consideration of the fruit in general in all different traditions and particularly in Dzogchen teaching. 2日22:30. Advices for how to integrate the Dzogchen knowledge in our daily life, and how we are being practitioners who have responsibility to take care for the continuation of Dzogchen Community and its transmissions. Tridlungs of collective practices and final Ati Guru Yoga.